The United States Ju-Jitsu ® Federation serves as the registry for official ju-jitsu rank in the United States and represents to the International Governing Body recognized ju-jitsu grades of American citizens. When registering new USJJF members who have ju-jitsu rank, it is important to understand the difference between homologation or validation of ju-jitsu rank and promotion in ju-jitsu rank. A promotion is the awarding of the next higher rank to a member who already has his or her rank certified with the USJJF. It can only be accomplished when the USJJF member fulfills all the requirements for their next promotion in the US Ju-Jitsu Rank System or in a Ju-Jitsu Rank System from a recognized ju-jitsu organization as determined by the USJJF Technical Committee. For students or instructors who wish to join the USJJF and already have rank in ju-jitsu, the USJJF rank system provides procedures for homologation and validation. Homologation is the issuance of US Ju-Jitsu Federation credentials for ju-jitsu rank possessed by a prospective or current member when that rank has been issued by a recognized ju-jitsu organization. Validation is the examination of a prospective or current member to obtain US Ju-Jitsu Federation credentials for a ju-jitsu rank issued by an unrecognized ju-jitsu organization, or for which no credentials are possessed. Each procedure, homologation or validation is explained below. These procedures apply to all new members with ju-jitsu rank of Brown Belt or higher. New members, with lower ranks may be registered at their current rank with approval of their Instructor. Homologation is the method by which an Instructor can register a new member (Brown Belt or higher) who has proof of rank in the form of a rank card or certificate that is recognized by the Central Technical Committee of the United States Ju-Jitsu Federation. In keeping with the International Standards of Minimum Age Requirements for Dan Grades, the USJJF does require that minimum ages are considered when issuing Homologated Certification for rank issued by other ju-jitsu organizations. Note: The USJJF-BJJ National Program does follow different age requirements which are in recognition of the international Brazilian Jiu-Jitsu standards. Note: There are many ju-jitsu organizations whose rank credentials are recognized by the USJJF. If the new member has acceptable rank credentials, he or she may have their rank certified in the USJJF at the current Ju-Jitsu rank. USJJF Rank Homologation will be issued to only USJJF recognized ju-jitsu systems. 1. The ju-jitsu system's senior black belts must be current members of the USJJF. 2. The ju-jitsu system's complete curriculum and history must be on file at the USJJF National Office. 3. The ju-jitsu system's most current roster of instructor / examiners must be on file at the USJJF National Office. 4. The ju-jitsu system's black belts must be certified with the USJJF (with their personal martial arts "Bio", photo, copies of all their rank certificates and references on file at the USJJF National Office). 5. The senior black belts of each new "applicant system" are required to attend a National Seminar, Camp or place and time coordinated through the USJJF National Office in order to present and demonstrate their system to the USJJF Central Technical Committee for induction into the USJJF Yudanshakai. To homologate a new member with acceptable rank credentials, an Instructor simply fills out a USJJF Membership/Certification Form, attaches a copy of the new member’s recognized rank card or certificate, and mails this to the USJJF National Office for processing along with the annual membership and rank registration fees. If the Instructor is in doubt as to whether a certain rank card or certificate is acceptable, he or she has only to send a photocopy of the card or certificate to the USJJF for determination. The Instructor will always receive a prompt and courteous reply. A new member who has his or her rank certified will receive a USJJF National Membership Card showing his or her current rank, a US Ju-Jitsu Federation Rank Certificate and a US Ju-Jitsu Patch. 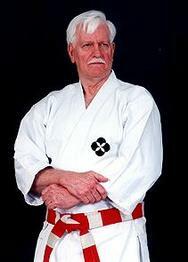 Validation is the method by which an Instructor can register a new member who has no acceptable proof of ju-jitsu rank. Instructors and prospective members should understand clearly that when we refer to a new member’s credentials as "unacceptable" there is absolutely no reflection on the member’s technical competence in Ju-Jitsu, (nor their character). However, the term "unacceptable" merely means that the credentials the member possesses are not issued by a recognized ju-jitsu organization. Validation is also a method by which a new member can be registered at the ju-jitsu rank that he or she is best qualified to hold. If the new member has not participated in a nationally, standardized rank system, he or she may not have been promoted to the rank now held by contemporaries in skill, knowledge and experience. Validation is the method for correcting this situation. Validation is the detailed process by which the USJJF examines new members to verify their credentials or to determine the rank they are best qualified to hold. It involves a thorough examination of their ju-jitsu knowledge, technical ability, a historical review of their ju-jitsu experience, and their service to ju-jitsu. The historical review may go back to their first day of training (and their Instructor) or to the date of their last "acceptable" rank credentials. All new members who do not possess acceptable rank credentials must have their rank validated to be registered with the USJJF holding the rank of Brown Belt or higher. As with USJJF promotions, the member must belong to a USJJF member club to be eligible for rank validation. If the validation is for a Kyu (Brown Belt or below) grade, then the examination must be performed by a certified USJJF Black Belt (and current member of the Federation). If the validation is for a Dan (Black Belt) grade, then the examiner must be a certified USJJF Black Belt who is at least two grades higher than the rank validation level of the new member. The examiner for all validations or promotions must be a Certified Instructor/Examiner of the USJJF. The examiner will utilize the USJJF Request for Validation of Ju-Jitsu Rank Form and send it with the individual’s membership application and appropriate fees to the USJJF National Office for processing. 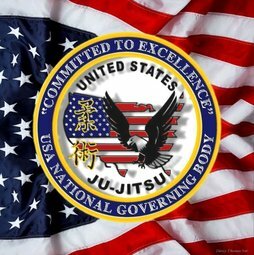 The National Office will insure that the forms are properly completed and will forward to the new member (or their Instructor) a National Membership Card, USJJF Rank Certificate and a US Ju-Jitsu Patch. Note: The USJJF Request for Validation Form has all of the necessary instructions for completion and the current validation fees. Promotions, Homologations or Validations for Ju-Jitsu Rank of Godan (5th Dan) and higher must be approved by the USJJF Central Technical Committee. Additionally, the USJJF Central Technical Committee has approved the institution of minimal time in grade and age requirements for all US Ju-Jitsu Dan Levels. USJJF is the USA National Governing Body and the USA National Member of the International Governing Bodies for Ju-Jitsu, the World Ju-Jitsu Federation (WJJF) and the World Jiu-Jitsu Confederation (WJJC), and as such must abide by their rules and regulations. We simply cannot accept rank credentials or recognize organizations that do not meet requirements of the International Governing Body. Furthermore, USJJF is a ju-jitsu organization and as such does not register karate, judo, taekwondo, kung fu and like credentials. There are appropriate organizations for those martial arts. We highly recommend that you consider one of the organizations listed in our Partners & Affiliates Section for credentials in these other arts. If ju-jitsu or judo certification is desired, the member must meet the US JU-JITSU Rank Requirements or the Ju-Jitsu Rank Requirements of a Recognized Ju-Jitsu System or Organization. Finally, the United States Ju-Jitsu Federation does deal in reciprocity. That is, if an organization or country does not recognize United States Ju-Jitsu Federation rank, the USJJF will not recognize grades issued by that organization or country. However, if an organization or a country recognizes US Ju-Jitsu Federation certification but does not meet the high international ju-jitsu / jiu-jitsu standards, USJJF cannot recognize grades issued by that organization or country. To register your ju-jitsu rank with the United States Ju-Jitsu Federation, contact either your registered style or system organization, or the USJJF National Office at 3816 Bellingham Drive - Reno, NV USA, for an application or use the On-Line Application for Dan Grade Certification at natlhq.usjjf@gmail.com.